Hermanus is a picturesque seaside town, known for its festive atmosphere, friendly residents, gorgeous scenery and its whales. The famous visitors return to its shores annually to calve and their graceful antics are watched by the hundreds of people who flock to Walker Bay to witness the majestic creatures in action. 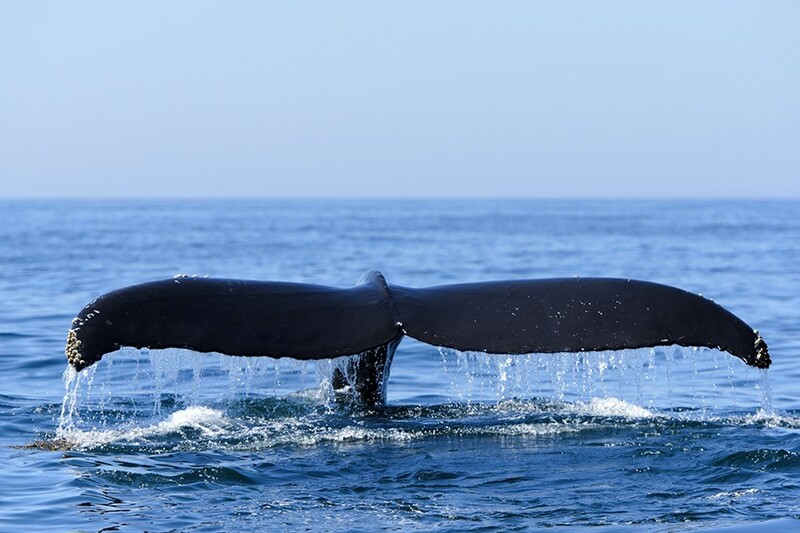 Whale watching in Hermanus is world-renowned – no other place provides the same opportunity to witness the phenomenal animals in their natural environment, cavorting in the bay. The tell-tale sudden explosion of a jet of water, or the appearance of a gigantic tale, is a give-away that there is a friendly whale lurking below the sea’s surface. Hermanus loves its and every year they are celebrated with the immensely popular Hermanus Whale Festival – South Africa’s only Enviro-Arts festival. The whole town gets involved and the carnival atmosphere is infectious, with numerous musical performances, comedy skits, cabarets and exciting stalls to discover. Choose from an overwhelming selection of exquisite arts and crafts and delight in the multiple acts on offer. As soon as the Whale Crier sounds his seaweed horn, everyone knows that the first whale has been spotted and it’s time to start the festivities. Opting for a group tour to Hermanus is a wonderful way to experience the best that the town has to offer, while the informative, knowledgeable guides enhance your experience with their fascinating commentary about the area’s past and its whales. It’s also a fantastic way to meet new people and spend some time with your family and friends. Stroll along the superb, pristine stretches of golden sand and climb up the rippling dunes for outstanding vistas of the sea and its gentle inhabitants. Hermanus is famed for its rugged, wild landscape, with its captivating natural beauty and serenity. The town may have grown and developed a great deal, but it still maintains its integrity and small fishing town feel. It’s a place of immense charm and allure, with much to offer, including its well-known Whale Festival, which takes place annually in September.